Another demanding day for both the race team and competitors with a breeze fluctuating between 6 and 18 kts and veering from the SE round to the S during the races. The first race became fairly lengthy for some of the smaller members of the fleet (Minx !) who had to contend with a dying breeze but race two was sailed in a fresher conditions and all fleets finished within less than ten minutes of each other. 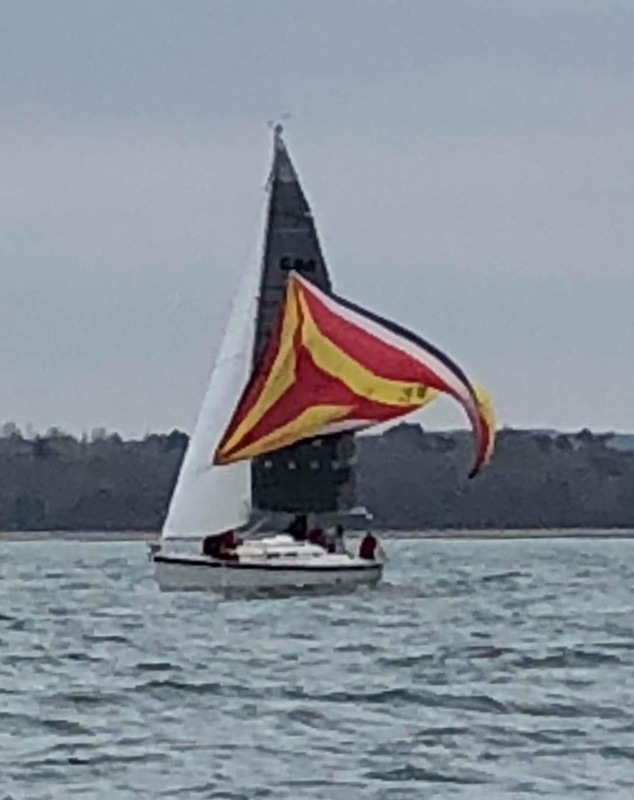 Results here https://www.portsmouthsc.co.uk/parhelion-2/results... and here https://www.portsmouthsc.co.uk/parhelion-2/results... make interesting reading with Tinker T gaining a first in IRC race 4 but fifth in race 3 - perhaps something to do with a spinnaker mal-function - pictured! (Video available on request!). Very many thanks to race officer Darryl Bowles and his team on board Mary Siobhan and Burr Taylor for providing Rib support. Next week is our annual 'Parhelion Memorial Race' with trophies for places on the day and food available back at the club on completion. A Rib ferry service will be available. We hope to see as many of you as possible in the club house.